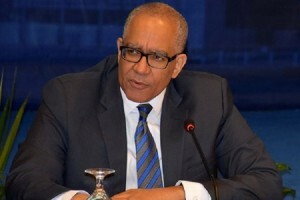 KINGSTON – Bank of Jamaica (BOJ) Governor Brian Wynter does not anticipate that the country will need to immediately draw down on the US$600 million available to the country under the new US$1.6-billion International Monetary Fund (IMF) precautionary Stand-By Arrangement (SBA). The figure comprises an initial US$430 million that was made available upon the agreement’s signing and an additional US$170 million that will be provided on the Board’s approval of the October to December 2016 review, currently being conducted by a visiting IMF Mission. Wynter said Jamaica’s net international and non-borrowed reserves, which exceed US$2 billion, are sufficient to ensure that “we have the means to manage through ordinary shocks”. He was speaking at the Bank of Jamaica (BOJ) quarterly media briefing in downtown Kingston on February 21. The Governor underscored the SBA’s importance in safeguarding Jamaica against significant shocks that could derail the country’s economic programme, citing a retracement in global oil prices as an example. “It is important that we have macroeconomic stability unwritten in such a way (as facilitated in) this precautionary stand-by line…to provide that reassurance, particularly to investors, that even if bigger risks occur, you could continue with your plans and not get dislocated,” he said. Meanwhile, Wynter is optimistic that Jamaica will pass the first SBA quarterly review. “Our assessments indicate that all of the quantitative performance criteria and structural benchmarks have been met. These include the target for non-borrowed reserves, as also the inflation target in the SBA of one to nine per cent, (which sees) the outturn for December 2016 at 1.7 per cent, being comfortably within that range,” he added.